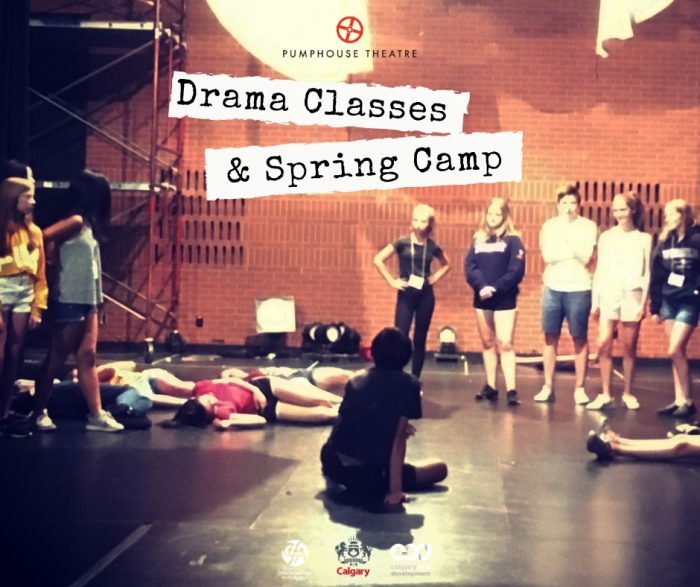 This course is a great introduction to the drama basics and covers a variety of topics including story-telling, character, sharing, movement, and theatre games. This is a wonderful way to help your child explore their imagination, learn new skills, and have fun! No experience required! 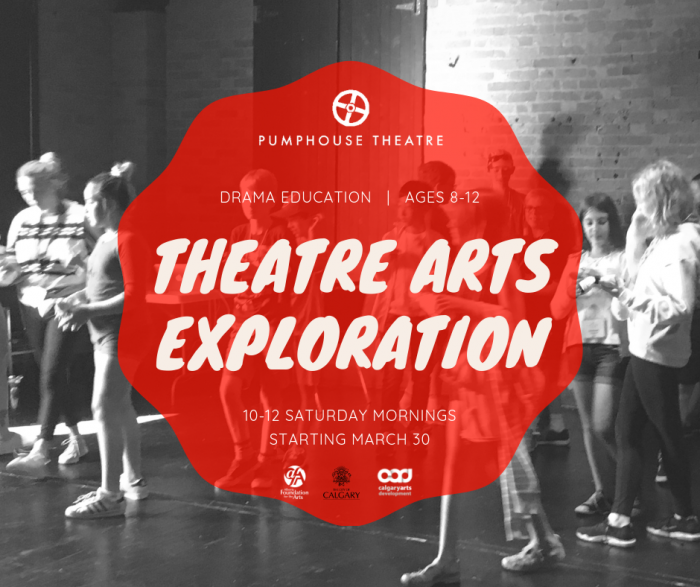 Explore storytelling and harness imagination through physicality. 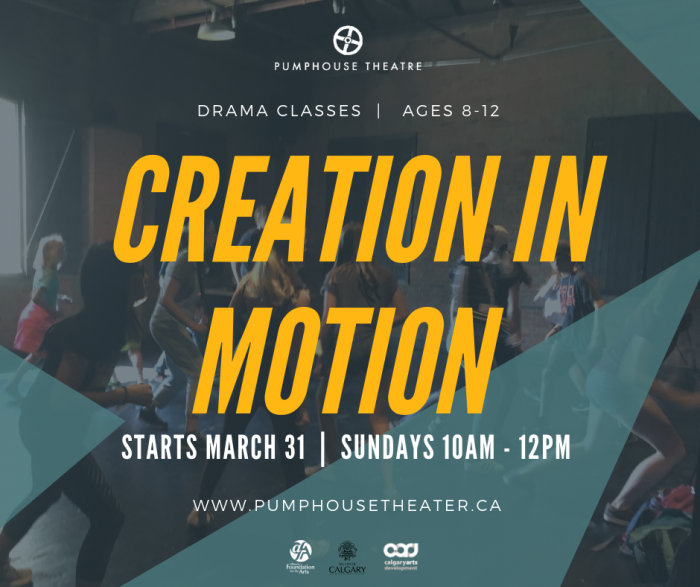 Creation in Motion will encourage creative expression through movement, choreography, mime, balance, staging, and mask. Students will learn about teamwork, gain self-confidence, and be physically active, all within a safe and engaging environment. No previous experience is required! This course is an all-inclusive exploration of the theatre arts. 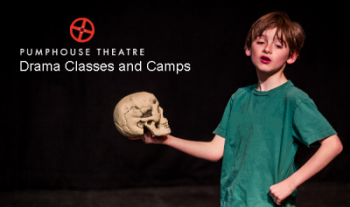 Students will be encouraged to discover a variety of dramatic techniques such as character creation, improvisation, movement, Shakespeare, scene study, and more! Have a blast creating and performing an original final presentation for friends and family. No previous experience required! Improv is a great way to have fun and explore while bolstering creativity, adaptability, team work, and confidence. 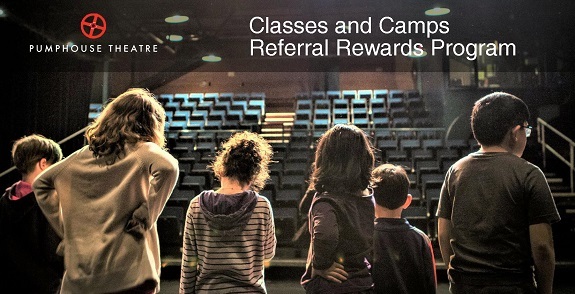 This course includes lessons in theatre sports, character development, story-telling, and many favourite improvisation games. Be inspired to think outside the box, learn something new, and have fun! This course is designed to give young performers a deeper understanding into the written world of theatre. 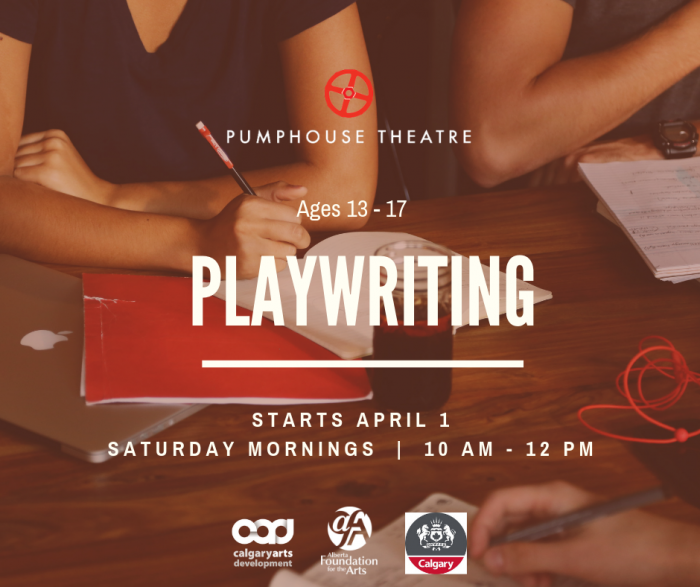 Through examining classic and contemporary text, students will be guided to explore the craft of playwriting and dramaturgy and learn what it means to tell an effective story. Students will be able to have the opportunity to write their own monologues and short ten minute plays. Pre/Post Care included in registration fee! Whether a first-time camper, or a returning student who just can’t wait for our summer session, Pumphouse Theatre’s Spring Camp is a fun and creative way to spend spring break! * Discounts apply to those registering before February 25th or those registering multiple participants from the same family. 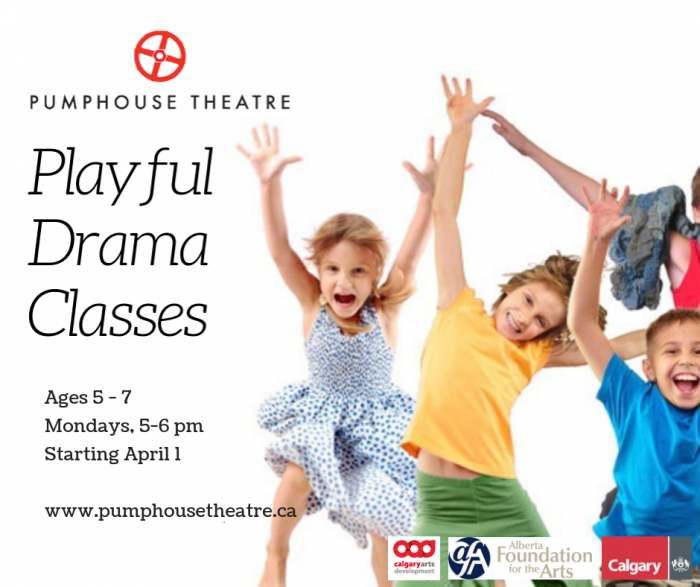 If you have any questions, please email Kelly Malcolm, Programming Director at kelly@pumphousetheatre.ca. 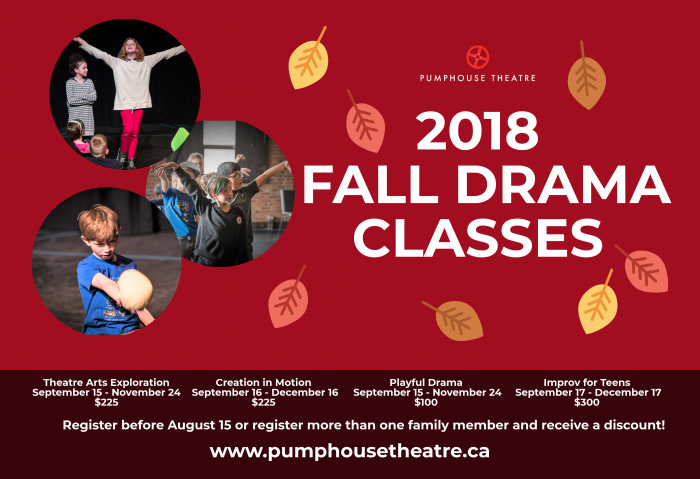 The Pumphouse Theatre is a vibrant facility with historical significance supporting and presenting all art forms; and creating opportunities for engagement, enrichment, cultural experience, learning and inspiration serving all Calgarians. 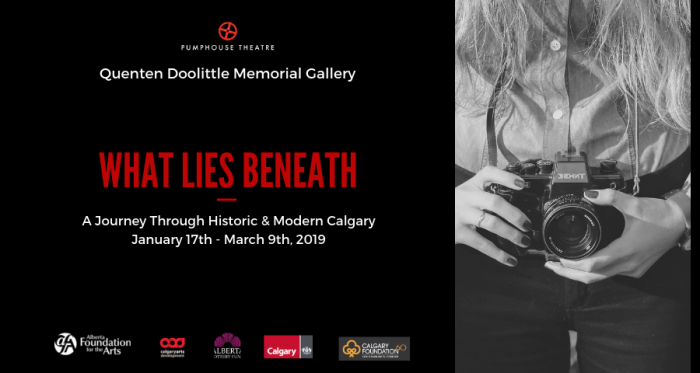 The Quenten Doolittle Memorial Gallery provides accessible wall display space for Calgary and Alberta visual artists to display and sell their work, free from commission. For this exhibit, we are asking for photographic work that showcases the City of Calgary, either historically or contemporary. Submitted work must reflect the parts of the City which would be considered hidden, underrepresented, or forgotten. hangers. Hanging cleats will not be accepted. It is with mixed feelings and emotions that we announce the resignation of our CEO Scott McTavish effective as of the 31st of August 2018. Scott is moving on to pursue an exciting new career as the Operations Manager for the Northern and Southern Jubilee Auditoriums. It’s always sad to lose a professional, dedicated, and passionate person like Scott and this move is undeniably a gain for his future organization. Since joining the Pumphouse in 2001, Scott’s contributions have been essential to our success over the years. He’s been a valuable, collaborative leader well respected and appreciated by the Pumphouse board, staff, stakeholders and patrons alike. His colleagues recognize him for his courtesy, insight, and commitment to the success and advancement of Calgary’s, and Alberta’s, cultural community. Including being recently honoured, by the Calgary Chamber of Commerce, with the 2018 Ian Anderson Committee Chair of the Year Award for his exceptional leadership and commitment as Chair of the Chamber’s Municipal Direction Committee. His enthusiasm, work and passion including extended hours of devotion to the Pumphouse are greatly honoured. We will miss Scott’s charm, professionalism, empathy and strength. We acknowledge Scott’s efforts and thank him for his unconditional commitment and dedication throughout the years. Filling Scott’s shoes will not be an easy task. That said, there is no-one more talented and able to step into the newly created management role of Production and Operations Manager than Sabrina Mueller (currently our Technical Director). Sabrina has worked alongside Scott for the past nine years and shares the same vision, respect and appreciation of our stakeholders as he did. We look forward to Sabrina’s future success in her new role with us. To help in easing the quick transition Scott will be taking a seat on the board until our AGM in December. 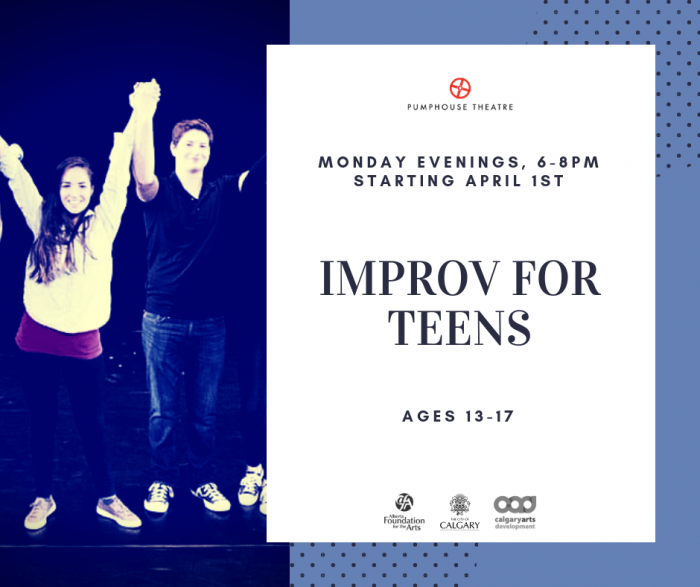 Improv is a great way to have fun and explore while bolstering creativity, adaptability, teamwork, and confidence. 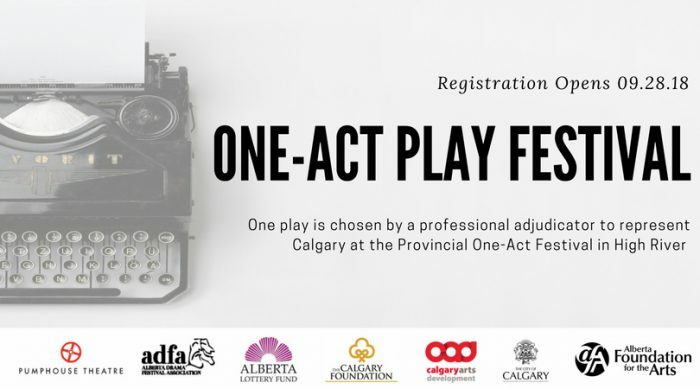 This course includes lessons in theatre sports, character development, story-telling, and many favourite improvisation games. Be inspired to think outside the box, learn something new, and have fun! No previous experience is required! Cancellation is permitted (less a $25 administration fee) provided notice is given a minimum of 10 business days prior to the first day of camp. No refund will be given with less than 10 business days notice, without a doctor’s note. Discounts apply to those registering before August 15th or those registering multiple participants from the same family. We are pleased to announce our Referral Rewards Program! EARN 10%, 15% OR 20% DISCOUNTS ON YOUR REGISTRATIONS FOR A FULL YEAR.